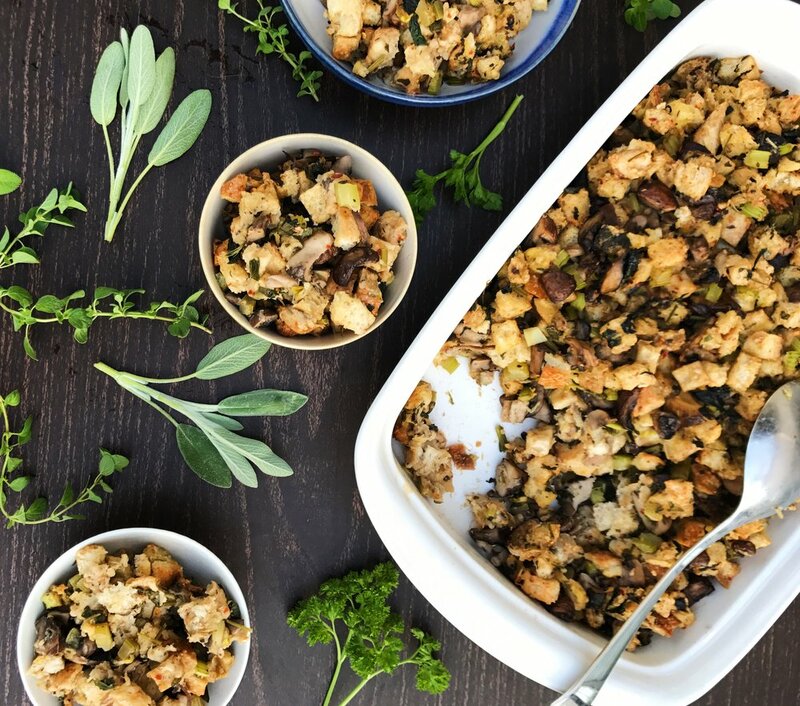 Stuffing is an integral part of a Thanksgiving meal. This is going to be such an awesome addition to your holiday. If you love mushrooms, this one's for you! Its got heaps and heaps of mushrooms!! This dish takes a lot of prep, but it is fairly straightforward once everything is ready. Its actually the chopping that took that longest, so a helper will speed the process along. Mushrooms varieties can be kind of tough to find at just one grocery store. I highly encourage you to visit another grocery store to take a look around! I think a really great place to look for mushroom varieties is an Asian supermarket. Fresh Shiitake mushrooms are a must!! For this recipe, I used cremini, button, shiitake, maitake, honshimeji mushrooms. Buying sliced bread will save you time! I found that rough chopping the mushrooms gave the dish a better texture. Don't hesitate to deviate from the perfectly sliced mushrooms! Additional Note: I'm really sad to not have been able to post Wednesday this week! Of all the weeks, thanksgiving requires so much prep. I've been going through a lot of changes in my life, but things should smooth out soon and I can get back in the groove of things! Let me know what you think and especially if you've tried this recipe! !